How to Advertise an Interest Only Loan. So what are the rules if I want to advertise an interest only loan product? Lets assume your ad has the loan amount, an interest rate, and the APR. What else is required to be disclosed on interest only loans? (i) The amount or percentage of the downpayment. (ii) The terms of repayment, which reflect the repayment obligations over the full term of the loan, including any balloon payment. 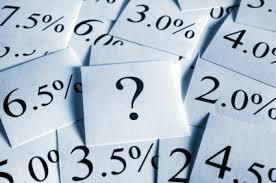 (iii) The “annual percentage rate,” using that term, and, if the rate may be increased after consummation, that fact. So items (i) and (iii) are not hard so we won’t spend much time discussing them. But the disclosure obligation on item (ii) can be a bit tricky. This rule requires us to explain the terms of repayment which refers to disclosing the payment obligation and how it can change over the term of the loan. Loan Assumptions: Loan shown above assumes a $200,000 loan with an interest rate of 4.75%, 5.125% APR. During the first ten years of the loan, the Payment will be interest only based on the amount of outstanding principal balance. For the remaining 20 years, the payment will be calculated at principal and will amortize over the remaining term. The payment amount during the first 120 months of the loan will be an interest only payment of $________. Payments on the loan become a principal and interest payment of $_______ commencing with the 121st month for the remainder of the loan term. Note that in month 121 your payment amount increases substantially as the payment now includes repayment of principal. Keep in mind that you will be required to make this higher monthly payment over the last 20 years of the loan or you could lose your home to foreclosure. The above representation does not represent legal advice but represents the authors’ view of one way to comply with the Regulation Z requirements as well as the Non-traditional Guidance that requires lenders to provide consumers with a disclosure regarding the risk of “payment shock” on non-traditional mortgage products.